The challenge with the explosive growth of satellite and drone image data, is that there just aren’t enough analysts to scrutinize the images to find what they’re looking for. The only way to crack this problem is to use advanced technology to help sift through the images, and flag the hotspots of concern in a rapid and cost effective manner, without needing such significant human resources that today’s tools require. 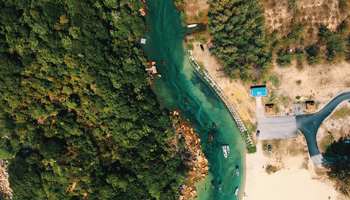 Simularity and it’s partner Spacemetric, recently combined their technology to prove that there is a better way to detect changes in images and it can work from satellites all the way down to drones flying just a few 100 feet overhead. A short video illustrating this process is available here. A full report with case studies is available upon request. Spacemetric and Simularity jointly offer a solution to governments (national and local), municipalities, and private companies to monitor their properties, rapidly detect change, and benefit by generating revenue, saving costs, and catching compliancy issues before the problems get worse. COPYRIGHT © 2019 SIMULARITY. ALL RIGHTS RESERVED.